Venice is a shopper’s paradise, and if you know where to go, you can nab some pretty incredible vintage finds too. Here are our top four picks for shoes, accessories, jewelry, and clothes. Just try and resist! 1. L’Armadio di Coco (Coco’s wardrobe) is a family business run by Arianna and her daughter; proud Venetians and chic fashionistas who travel the world finding the best vintages pieces from handbags to dresses. Their first shop is a Vintage Lab in Campo Santa Maria Nova, a beautiful location near one of the most beautiful churches in Venice. A few months ago they opened, L’Armadio di Coco Luxury Vintage in San Marco where they sell exclusive vintage pieces from Chanel, Versace, and other high fashion designers. They are well known to trendy locals as THE place to go to get dressed up! They also do events every so often, so be sure to check their Facebook page – the next one is a jazz and shopping night in June. 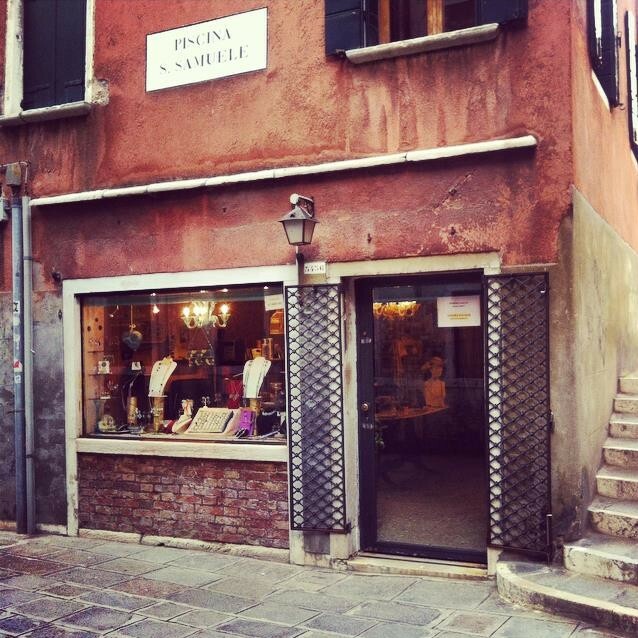 Vintage shopping in Venice is not complete without visiting both romantic locations. And don’t leave hubby at home because they do men’s fashion as well! 2. Giovanna Zanella’s Shoes are a must! 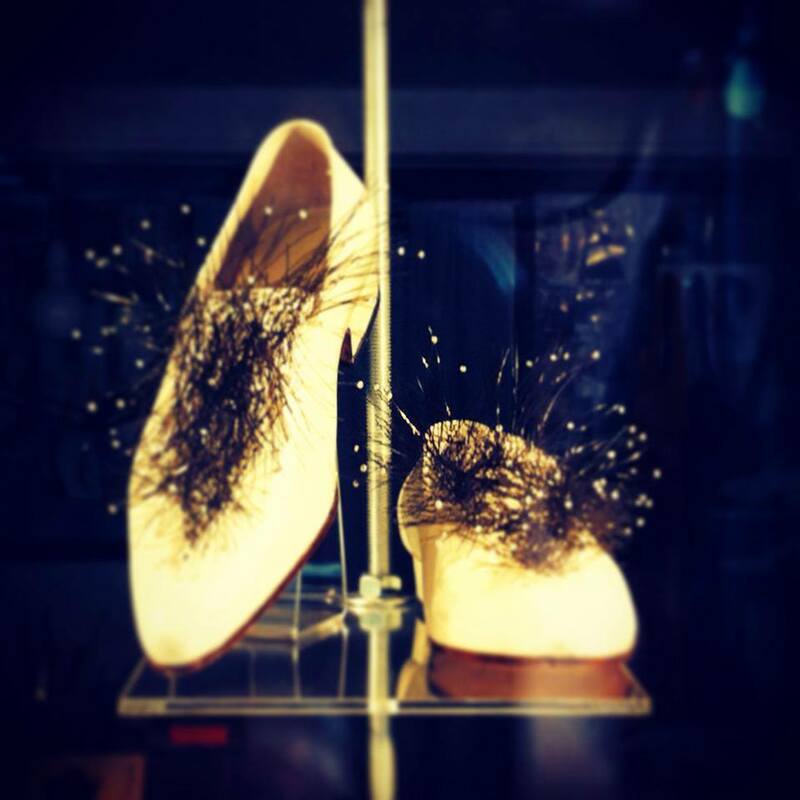 One of the few female Venetian shoemaker artisans left in the city, she has been creating bizarre unique shoe designs for the last 10 years in a tiny shop on the heart of Rialto. This Venetian artist is world famous because every pair is unique (and amazing)! 3. You don’t want to miss Laura Crovato. 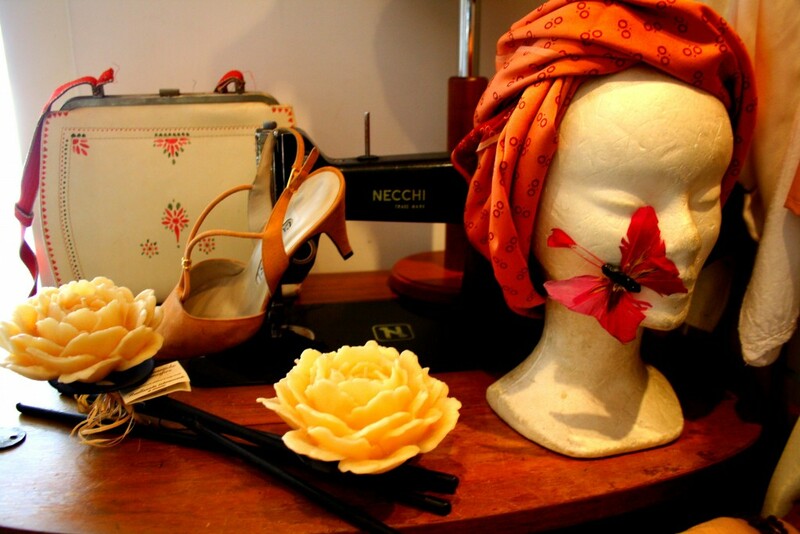 Laura has been working with vintage clothing, jewelry, and accessories for the last 30 years. Her shop is located right in the heart of the Calle Delle Botteghe, near Campo Santo Stefano, a street that is famous for vintage and antiques shops (its name means the “Street of the Shops”). It’s a street off the main tourist trail that is still surviving today with beautiful gems. 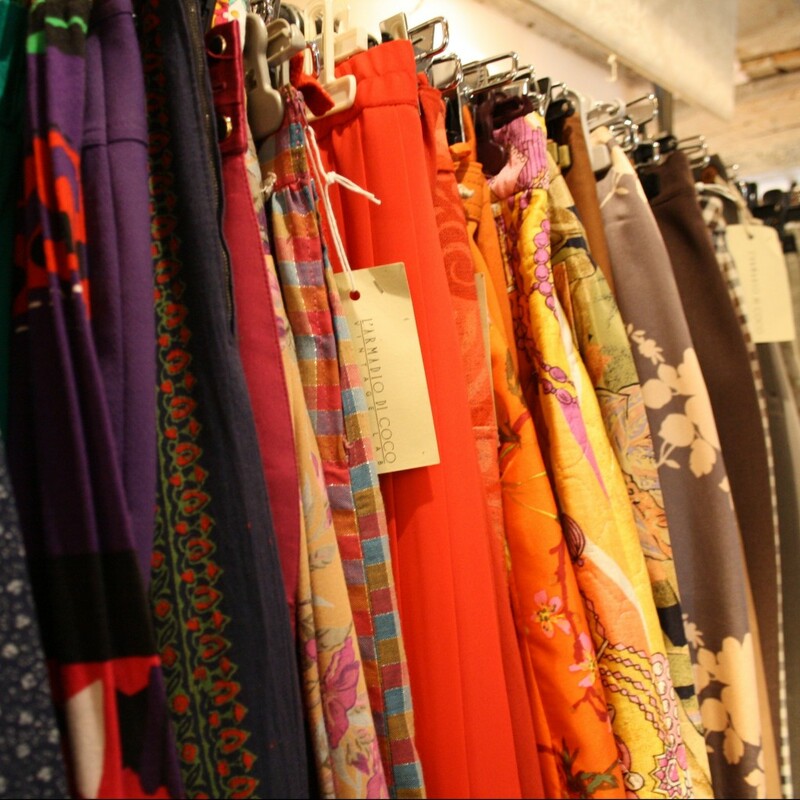 Laura brings vintage clothing from all around the globe and changes the collection every season. 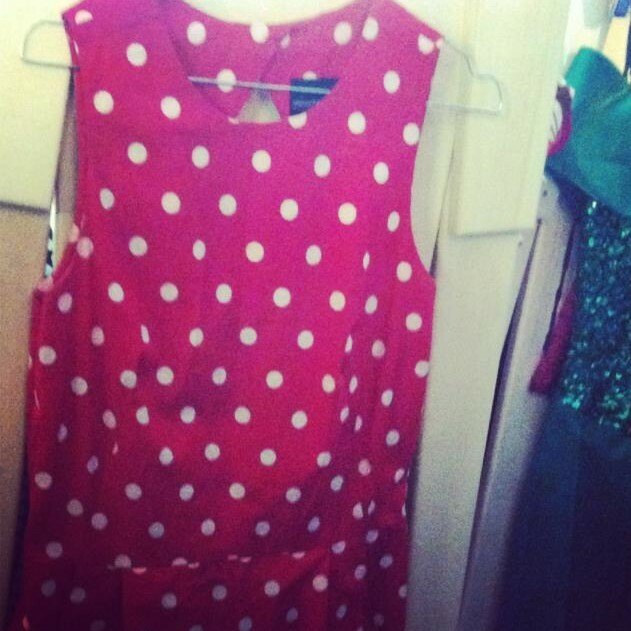 Some of the great stuff you can find include 40’s Corea Made Cocktail dresses, USA 50’s sunglasses or Venetian Antique Winter Coats! Take your time in her shop – it’s full of goodies! Find it at: Calle delle Botteghe, Santo Stefano, San Marco 2995, Venice. 4. Le Burle Veneziane is ideal for the jewelry and accessory fiend. This tiny corner shop specialises in antique jewelry and high class vintage accessories, part of a bigger gallery in Calle Delle Botteghe, and is a must in your vintage adventure! Find it at: Piscina San Samuele , San Marco 5456, Venice. 5. La Stanza delle Sorprese (or in English, The Surprise Room) has been owned by Rosella Costantini for the last 20 years, and has pretty much everything you could think of: From oil lamps of the 19th Century to Italian Ceramics, dolls, jewelry…you name it! We recommend you to go early the day, as it is really tiny and full of beautiful things, but it’s pretty popular, and your treasure could get taken away! From the striped outfits of gondoliers to the colourful houses of Burano, inspiration in Venice is everywhere! The city feels like a movie set and you’ll want a dramatic outfit to match. 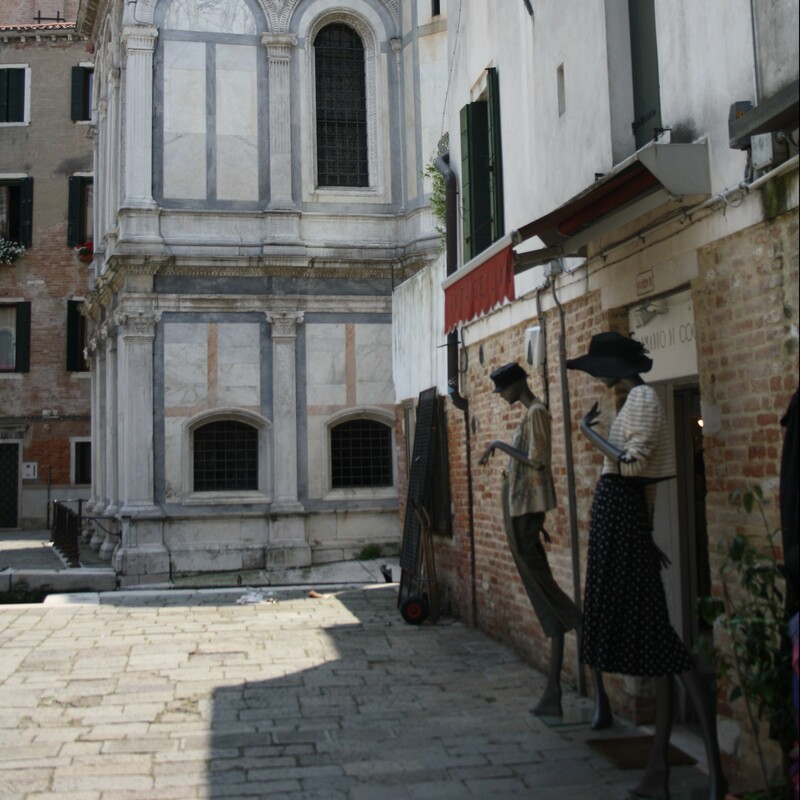 Follow in the footsteps of trendy Venetians and seek out a vintage treasure. Each item tells a story and really, what’s better than a wearable souvenir?! You’ll be the envy of every fashionistas back home and can throw in the humble brag that you bought it in Venezia! Day tours in Florence, Lucca, Palermo, Rome, Venice.